← Global Warming: Michael Killen Gave Speech to 120 Trinity School Students, Menlo Park, CA. Michael Killen said hardening and modernizing the electric grid should be top infrastructure priority of government and industry. Besides cyber attacks the global warming storms have the potential to knock down the grid in multiple parts of the country this decade. With “lights out” and the Internet, medical service, phones, transportation, and social media down it will very difficult to survive and prosper. 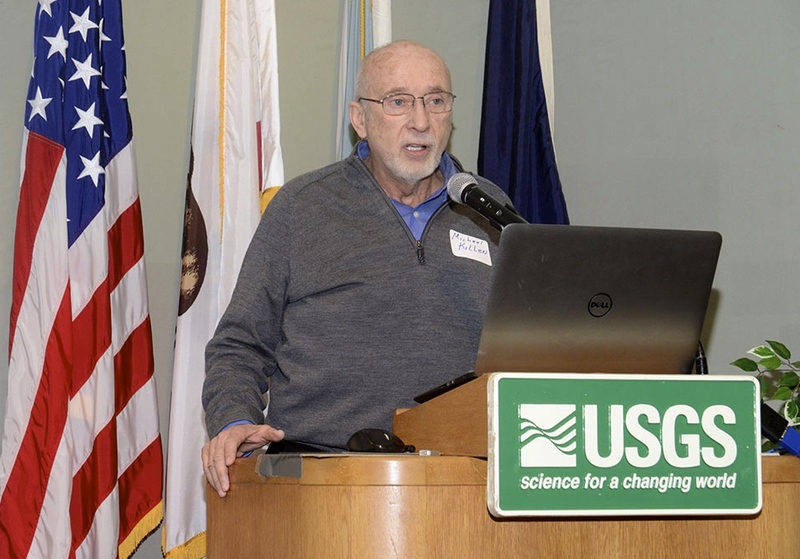 Michael make his remarks at the USGS Annual Scientific Innovation Workshop in Menlo Park, Ca. 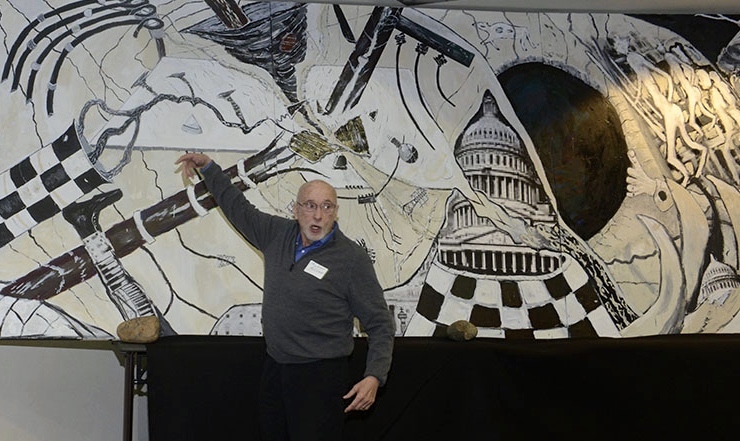 This was the second year in a row he accepted an invitation to share his thoughts at the USGS. Michael helps organizations make their events a success. He speaks often and almost always with one of his message paintings or image of it with him. Michael@killen.com. This entry was posted in Uncategorized and tagged Electric Grid, events, speaker service. Bookmark the permalink.